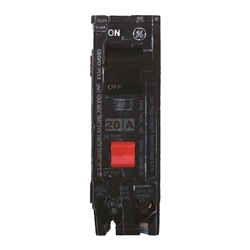 G-Series incorporates the use of a GFCI circuit breaker in lieu of often problematic GFCI receptacles. GFCI self-testing circuit breakers are much more durable and protect the circuitry from dirt, moisture & insects. Helps eliminate costly receptacle replacements.